The 10 Best Spas in Arkansas! From Native Americans to European settlers, Arkansas has long-been known for its naturally occurring thermal waters which are thought to have medicinal healing powers. We all need time to relax and renew our bodies and minds…and what better place to indulge than a Natural State spa? Check out this list of a few of our favorites spas in Arkansas! Located on the Garden Level of the historic 1886 Crescent Hotel in Eureka Springs, New Moon is one of the largest destination spas in Northwest Arkansas and the Ozark Mountains. The surrounding Crescent Garden makes New Moon an experience like no other. Get ready to feel relaxed, look beautiful, and be happy at one of America’s favorite mountaintop spa resorts! Immerse yourself and indulge at this Hot Springs spa! For all treatments at Quapaw Baths and Spa, the highly-trained staff uses only quality and organic products, leaving you feeling relaxed and renewed. Mineral-rich thermal waters invite you to enjoy immersing in a private or couples bath or in one of four thermal pools. Check out the awesome specials and packages offered by Quapaw Baths and Spa! Because the waters in the area were thought to have healing powers, Native Americans once referred to Eureka Springs as “America’s Medicine Teepee.” Established in 1901 and fully functioning today, the Palace Hotel and Bath House is the last remaining bathhouse in Eureka Springs. Book your treatment today and prepare to experience both luxury and history! Since 1992 this day spa and full-service med spa in Little Rock has been committed to being the best in Central Arkansas, being voted the best of the best for more than 12 years! Rejuvenation Spa brings out the best in you by blending timeless spa traditions and techniques with the latest advances in science and clinically-proven products. Turtle Cove prides themselves on their team of caring and professional therapists at this Mt. Ida-area spa. Surrounded by the crystal-infused waters of Lake Ouachita, Turtle Cove Spa is one of the most relaxing nature spas in Arkansas. You’ll find a wide array of fabulous spa treatments at this lakeside spa experience! Get ready for an incredible massage experience at this Hot Springs spa! From aromatherapy and mud wraps to pain-free deep tissue and Swedish massages, Thai-Me Spa is one of the best spas in this area of Arkansas. Conveniently located in Rogers inside the Embassy Suites by Hilton, Spa Botanica is a Northwest Arkansas favorite! Spa Botanica invites you on a journey to experience your own personal botanical oasis. With a wide range of specials and treatments including Massage Monday and Wined Down Wednesday, Spa Botanica will leave you feeling relaxed and renewed! This Hot Springs hotspot was created with YOU in mind! At Ablution, they cater to your tastes, your time, your choices, and your comfort. Featuring services like stone massage and couples’ retreats, Ablution prides itself in serving both men and women in the Northwest Arkansas area. The Bodhi Tree is an Aveda Salon and Spa located on East Mission Boulevard in Fayetteville. This outstanding spa is based on the belief that the needs of customers is of the utmost importance. The Bodhi Tree welcomes the opportunity to earn your trust and to deliver you the best spa services in the area! Even with today’s busy lifestyle, you’ll be able to relax and rejuvenate at Mr. John’s Day Spa. 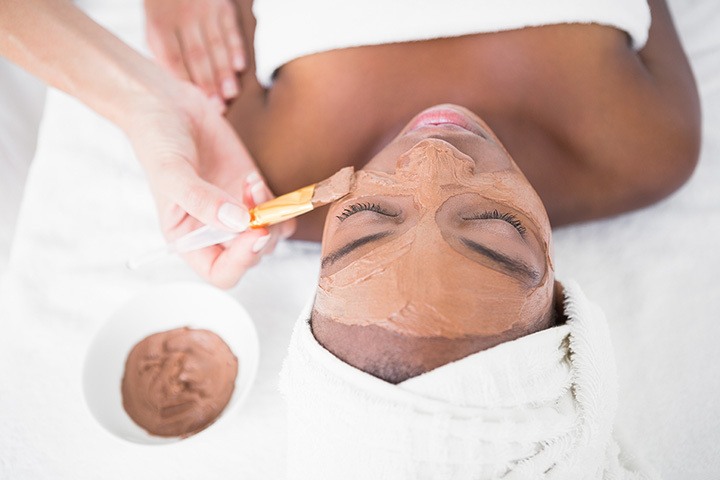 Featuring services ranging from Buff and Bronze to Pampering Paraffin, this spa hotspot will have you feeling brand new even if you only have time for a lunch-hour treatment.